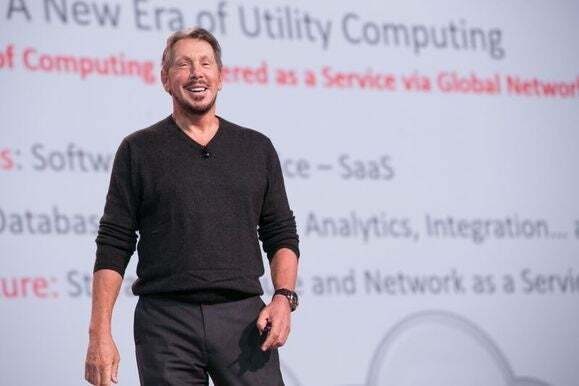 Oracle Executive Chairman Larry Ellison unveiled Sunday new cloud applications and services, including a training tool that integrates with the company's human resources application, and gave a glimpse of the company's security strategy. As is expected with Ellison's speeches, the keynote at Oracle OpenWorld in San Francisco was peppered with digs at rivals. 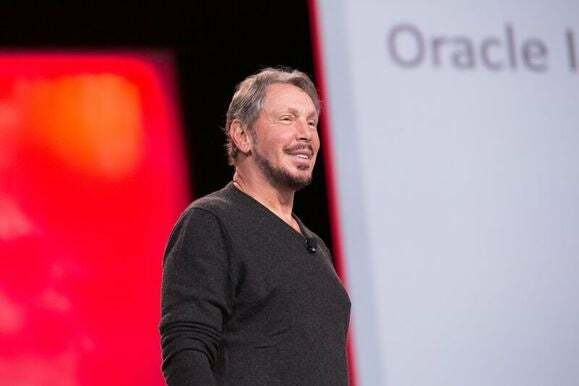 He took a swipe at IBM and SAP, saying that Oracle no longer pays any attention to both companies because they don't really have a cloud play. But this time Ellison was far more focused on the company's business plans and products and even avoided a reference to the recent move by Dell to acquire EMC. In a measure directed at IBM, Oracle announced with Intel a partnership, called "Exa Your Power," which offers a free sample proof-of-concept database migration from IBM Power systems to platforms running Intel's Xeon processors. Ellison said that the company is rolling out new SaaS (software-as-a-service) applications, which were built from the ground up for the cloud using the company's Fusion middleware. It has unveiled applications for e-commerce and supply chain management in discrete manufacturing. Oracle executive chairman and CTO Larry Ellison speaks at Oracle Open World in San Francisco on Oct. 25, 2015. The company also announced an integrated just-in-time learning system that is embedded in all Oracle SaaS applications as an Oracle cloud platform service. 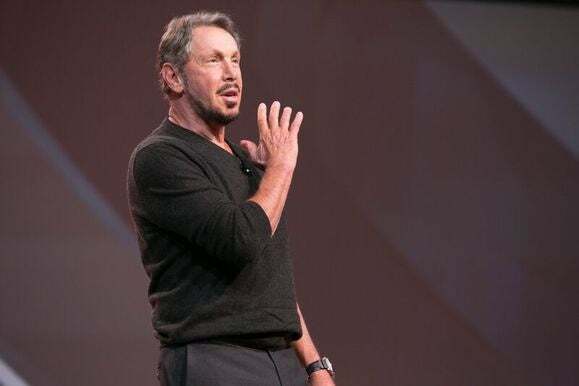 Apart from helping employees learn about Oracle products through videos and tutorials, the tool can be used by customers to let employees learn about their products and how to sell them, Ellison said. The software also stores information like employee learning history and integrates career development management in the company's human resources management application. Ellison claimed the company was doing extremely well in SaaS and is growing faster than the competition. Oracle currently has 1,300 customers for its enterprise resource planning software, about 5,000 customers for its human capital management application, including customer wins from its acquisition of Taleo in 2012, and 5,000 customers for customer relationship management. The company, which plays in the SaaS, PaaS (platform-as-a-service) and IaaS (infrastructure-as-a-service) market, said last month it hopes to book up to US$2 billion of new SaaS and PaaS business in this fiscal year. Revenue from these two businesses was up 34 percent in U.S. dollars in the first quarter, although the company's total revenue was down 2 percent in dollars but rose 7 percent in constant currency. On the database front, Oracle 12c Release 1 (12.1) introduced the multitenant option. The company is now enhancing the database to support a higher number of tenants, without sacrificing on security and privacy, Ellison said. 12.2 will support over 4,000 tenants in one database in comparison to 252 in the previous version 12.1. Oracle also plans a multitenant Java server. The company also announced that Exadata, its combined compute and storage system for running Oracle database software, now used in on-premise deployments, will be offered as a cloud service that will offer identical software and hardware for on-site and Oracle cloud implementations. A key theme in Ellison's speech was that users should be able to "push a button" and shift workloads and data between on-premises and the cloud, even on running applications. On-premises computing is not going to vanish, he said. Ellison also called for a change in the current thinking on security, so that security is designed into the IT infrastructure rather than given as an option as an on/off switch. "There should be no 'on and off' button on security but should be always on," Ellison said. Security has to be implemented lower down in the stack, including wiring it into the hardware, such as the silicon chips, to provide always-on real-time intrusion detection, Ellison added. "It is very hard to hack silicon," he said. He is scheduled to discuss Oracle strategy on security in detail on Tuesday. Security has become a bigger risk as vast amounts of data are moved to the cloud, but people buy security features but don't turn them on, Ellison said. He referred to recent high-profile breaches including the recent hack of the U.S. Office of Personnel Management.